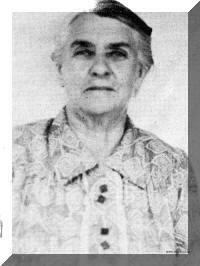 3-Ada Mary Dobson was born on 23 Feb 1888 in Elizabeth Town, Tasmania and died on 7 Oct 1981 at age 93. Ada married Arthur Maynard, son of George Maynard and Jane Lily Pugh, on 7 Aug 1907 in Pine Road, near Penguin. Arthur was born on 9 Dec 1869 in Westbury, Tasmania and died on 5 Oct 1948 at age 78. Arthur's parents were great friends of Sarah and Henry. When as a young man of 19 Arthur first saw baby Ada he said "I will wait for her" and so it happened that when a young girl of 19 Ada fell in love with Arthur and they married. They farmed at Riana for some years, and many times were threatened with bush fires as others were in those early days. Sarah worried about the young family to the extent that daughter Myrtle would ride her pony up to Riana to see if all was well. The Maynards later left Riana to farm for the rest of their lives at Castra Road near Ulverstone. After Arthur's death at 86 years of age on 5th October, 1948 Ada and her sons continued on the farm. Basil and his mother continued on until Ada went to Tasman House, Devonport. She passed away there on 7th October, 1981 aged 94 years. Basil and his family are at the present time still on the farm. Sapper Kenneth Maynard, son of Ada and Arthur Maynard enlisted in the Army in 1940. He was in an Engineers Coy dealing in explosives. He was discharged in November 1945. 5-June Gladys Maynard was born on 26 Jan 1939 and died on 2 May 1939. 5-Maxwell Gordon Maynard was born on 4 Sep 1941. Maxwell married Marie Evelyn Mace. Marie was born on 24 Jul 1945. They had two children: Lisa and Grant. 6-Lisa Maynard was born on 17 Oct 1968. 6-Grant Maynard was born on 11 Sep 1970. 4-Allan Arthur Maynard was born on 29 Oct 1908 in Riana and died on 5 Jul 1977 at age 68. Allan married Iris Guard. Iris was born about 1910. 4-Nellie Irene Maynard was born on 26 Jan 1911 in Riana, died on 13 Apr 2006 at age 95, and was buried on 19 Apr 2006 in Cremated Ulverstone. Nellie married Keith Alexander Smith, son of Ivy Opie Smith and Rhoda Louise Holloway. Keith was born on 4 Jul 1912 in Yolla, Tasmania and died before 13 Apr 2006. They had two children: Margaret Ruth and Donald Arthur. 5-Margaret Ruth Smith was born on 6 Mar 1947. Margaret married Robin Bricknell. Robin was born about 1945. They had three children: Wendianne, Janelle and Nathan. 6-Wendianne Bricknell was born on 26 Jan 1968. 6-Janelle Bricknell was born on 7 Dec 1969. 6-Nathan Bricknell was born on 11 Mar 1976. 5-Donald Arthur Smith was born on 22 Oct 1953. Donald married Maree Preece. Maree was born on 11 June 1957. They had two children: Melanie Brooke and Trent Alexander. 6-Melanie Brooke Smith was born on 2 Jan 1984. 6-Trent Alexander Smith was born on 17 June 1986. 4-Gladys Maynard was born on 1 Mar 1913 in Riana and died on 28 Mar 1952 at age 39. 4-Percy Maynard was born on 30 Aug 1914 in Riana. 4-Kenneth Maxwell Maynard was born on 14 Apr 1917 in Riana. Kenneth married Evelyn Renton. Evelyn was born about 1919. 4-Basil Maynard was born on 27 Feb 1919 in Riana. Basil married Betty Myra Yaxley. Betty was born on 12 Aug 1924 and died on 8 Jul 1984 at age 59. They had three children: Peter, Elizabeth Mary and Suzanne. 5-Peter Maynard was born on 7 Oct 1957. 5-Elizabeth Mary Maynard was born on 3 Jun 1963. 5-Suzanne Maynard was born on 1 Aug 1967. 4-Horton Maynard was born on 31 Jul 1921 in Riana. Horton married Marjorie May Purton. Marjorie was born on 6 Dec 1921. They had three children: Dorothy June, Kevin John and Lorraine Fay. 5-Dorothy June Maynard was born on 24 Nov 1942. 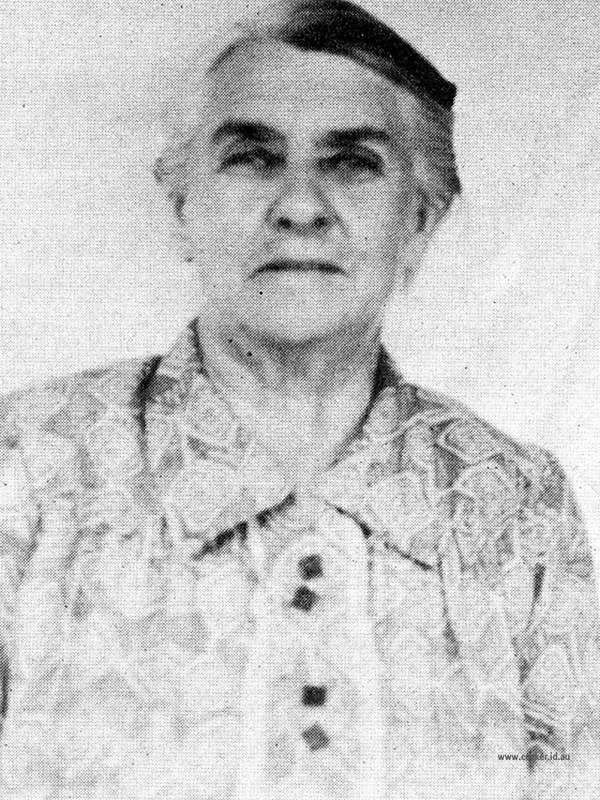 Dorothy married Samuel Caberica. Samuel was born about 1940. They had two children: Tania Joy and Justin Troy. 6-Tania Joy Caberica was born on 11 Jun 1963. 6-Justin Troy Caberica was born on 17 Apr 1973. 5-Kevin John Maynard was born on 12 Jun 1945. Kevin married Patricia Kay Cook. Patricia was born about 1947. They had two children: Jason Andrew and Anita Louise. 6-Jason Andrew Maynard was born on 31 Dec 1970. 6-Anita Louise Maynard was born on 2 Oct 1972. 5-Lorraine Fay Maynard was born on 24 Aug 1946. Lorraine married Peter James Watkins. Peter was born about 1945. They had two children: Barry Norman and Laurinda Maree. 6-Barry Norman Watkins was born on 5 May 1966. 6-Laurinda Maree Watkins was born on 12 May 1969. 4-Walter Maynard was born on 27 Dec 1924 in Riana and died on 2 Sep 1966 at age 41. Walter married Thelma Catlin. Thelma was born on 2 Feb 1934. They had two children: Tony Walter and Debbie Maree. 5-Tony Walter Maynard was born on 22 Apr 1952. Tony married Terry Ann Travers. Terry was born on 30 May 1956. They had three children: Ricky Walter, Blake Lesley and Elise Anne. 6-Ricky Walter Maynard was born on 29 Aug 1979. 6-Blake Lesley Maynard was born on 18 Jul 1981. 6-Elise Anne Maynard was born on 22 Feb 1983. 5-Debbie Maree Maynard was born on 29 Jan 1957. Debbie married John Peter Wicks. John was born on 17 Oct 1952. They had two children: Troy John and Kylie Maree. 6-Troy John Wicks was born on 31 Oct 1977. 6-Kylie Maree Wicks was born on 24 Jan 1979. 4-Rex Maynard was born on 3 Jul 1927 in Riana. Rex married Dorothy Eileen Dawkins. Dorothy was born about 1929. They had two children: John Robert and Jennifer Anne. 5-John Robert Maynard was born on 8 May 1952. John married Rosalie Margaret Lewis. Rosalie was born in 1967. They had two children: Ben Thomas and Andrew James. 6-Ben Thomas Maynard was born on 8 Oct 1980. 6-Andrew James Maynard was born on 24 Sep 1983. 5-Jennifer Anne Maynard was born on 23 Apr 1956. 4-Jean Anne Maynard was born on 3 Oct 1929 in Riana. Jean married William Donald Edwards. William was born on 6 Aug 1930. They had two children: Rodney William and David John. 5-Rodney William Edwards was born on 25 Mar 1956. Rodney married Heather Louise Staley. Heather was born on 20 Nov 1963. 5-David John Edwards was born on 15 Jan 1960. David married Sarah Walden. Sarah was born on 21 Nov 1960. They had one daughter: Jessica Lynn. 6-Jessica Lynn Edwards was born on 4 Mar 1987.